New Webinar Scheduling and Recurring Meetings! Scheduling a webinar is now easier than ever. We’ve made a fairly large decision about our webinar product and we hope you like it. In order to make our product as easy to use as possible for our webinar customers, we’ve streamlined the user interface by removing the Start Now button. Now when you log in to your Webinar Pro account, there’s really only one foolproof way to get started with your webinars — just click the huge Schedule button. After that, pick a title and time for your webinar, and you’re all set. You can edit your registration form and invite your audience when you’re ready. We decided to take away the Start Now button because it was actually starting a meeting and not a webinar and people were getting confused. Also, we found that most of our webinar customers have a workflow that almost always starts with scheduling, so this was the best option for our webinar customers. Feel free to let us know if you love or hate this change. 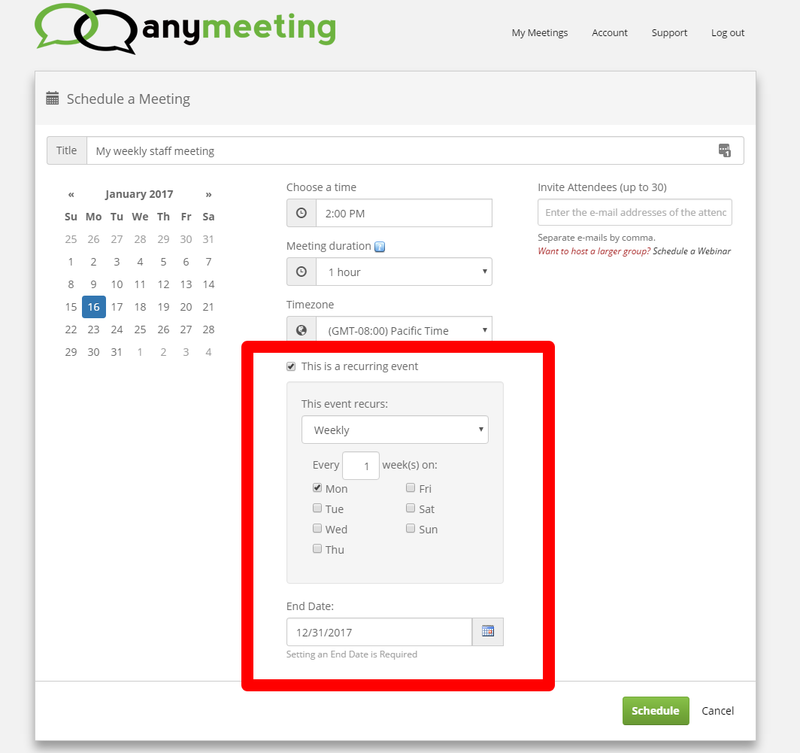 If you want to run quick and simple online meetings from your webinar account, you can schedule them ahead of time, or simply go to your shortcut meeting URL. Here’s a great article that explains how it works. Once you’ve scheduled your webinar, our new “details” screen walks you through the process of managing your webinar. There are simple buttons at the top that help you through each step. Additionally, all relevant information about your webinar is nicely tucked away in a tab layout. 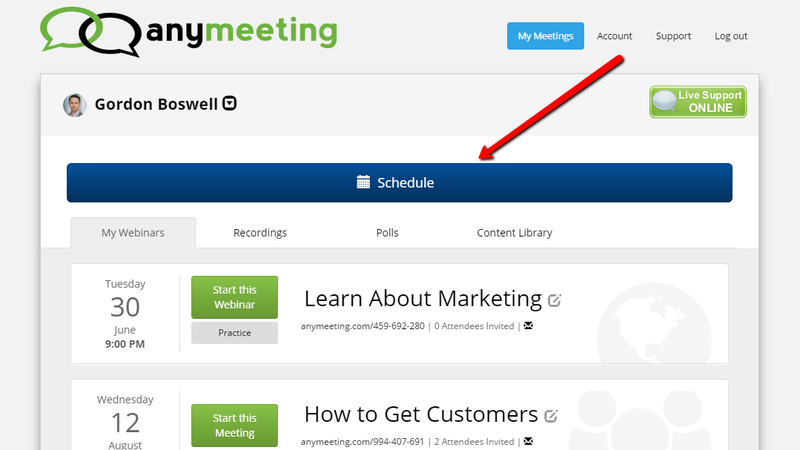 You can now schedule recurring meetings! A very popular feature request is now yours! Now when you schedule a meeting, just click the “This is a recurring event” checkbox and you’re off to the races. Let us know how you like it! Hope you love it! If you have any questions about any of this new stuff, please don’t hesitate to contact our support department at support@anymeeting.com.